I was recently researching the survival rate for my duodenal cancer, which has a history of returning. I found out at one website that I had a 30 percent chance of living past five years. 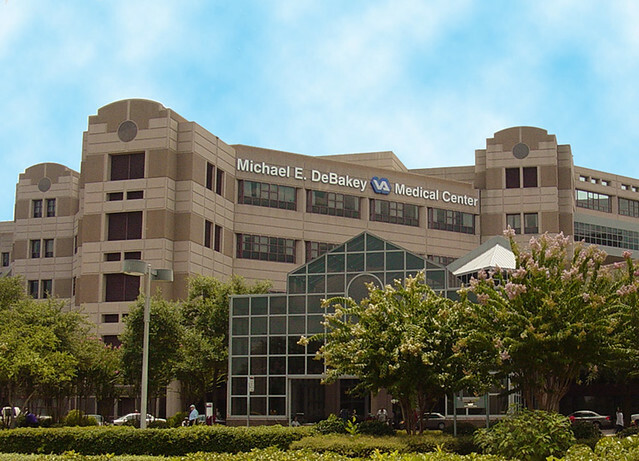 The oncologist when told about this survival rate gave me a reality check, by telling me the average life span for an American male is only 76. Since I will be 69 later this year that means I may be down to my last seven years of life, regardless of how the cancer situation may change. The five years survival rate doesn’t sound so bad, when I may have only seven years left anyway. Chemotherapy has gone well during the first ten weeks, which ends tomorrow leaving me with fourteen more weeks left. If the Catscan shows that the cancer has returned when the chemotherapy ends, then I may be forced into making some very difficult decisions. Don’t know whether I would want to start a new round of surgery, if surgery is even an option and whether continuing chemotherapy would even be an option. It would be easy to be selfish and continue to pursue any surgery or chemotherapy, that may rid my body of the cancer. This cancer has reduced me to a man who has ostrich legs, which really indicate that something is seriously wrong with my health. One of the main reasons for me to try to go to any length to keep fighting cancer, if it has returned would be to see my grandsons a few more years. I have a grandson who was 14 yesterday that dreams of playing major league baseball. He will be trying out for his high school team in Texas in the spring of 2014. I would like to be around if and when he plays baseball on the professional level. His brother who will be 12 in October likes to play soccer and does extremely well in school, since he loves to read books. I would like to see him grow up and start a career, while I am still living. The worst thing about leaving this world is those I would leave behind, including my two sons and daughter and my wife Rhonda and my stepson Justin. My father is 98 and will be 99 in November of this year. It is now a possibility that he may outlive me and I am happy for him. He made the right health choices to eat almost exclusively healthy meals and very seldom ate out at fast food places. He worked in his garden till well into his 90’s and also mowed the yard. What really matters the most is that whatever happens will be God’s will, so I am ready to accept whatever God has in store for me. I may live another 10 or 15 years, but on the other hand I may not even be around this time next year. I want to see all the baseball and football games I can see while I am still around. I want to listen to some of my 17,000 old-time radio shows from the 1920’s through 1962 when old-time radio died on September 30 of that year. There is a lot of music I would like to hear again, while I am still around and enjoy nature and see the stars in the night sky. Only God knows what my future holds and how much time I have left. Time will tell how all of this plays out. One of my main objectives is to be the same person I have always been, no matter how good or bad the news may be about my cancer as the years roll by. I don’t want anyone feeling bad for me, because I will be worried about the ones being left behind more than myself. 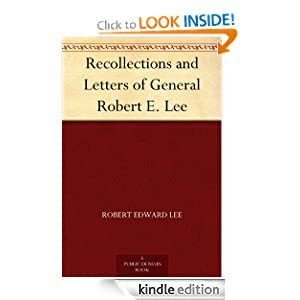 I recently downloaded the Kindle book Recollections and Letters of General Robert E. Lee, written by his son Captain Robert E. Lee. The Kindle edition is free and readers can start reading the 504 page book a minute, after it is purchased for free. The book is in the public domain, which is why it is free at Amazon.com. General Lee was born on January 19, 1807 in Stratford Hall, Virginia. He graduated second in his class from West Point in 1829. He married Mary Custis the great-granddaughter of Martha Washington in 1831. He later would be he appointed Superintendent of the U.S. Military Academy at West Point, New York in 1852. Lee loved to communicate through letters and this book includes the text of many letters, that he wrote to his wife, sons and daughters and others he had contact with during his life. He wrote often even during the Civil War years of 1861-1865. When he wrote home he would ask his relatives to send socks for the Confederate troops, many of whom had neither shoes or socks. It had to be a real hardship for Confederate troops, to not have shoes and socks and even blankets during the winter months of the Civil War. He writes in 1862 about the death of his daughter, Anne Carter Lee who died of typhoid fever at the age of 23. You could feel the compassion for his troops as he pleaded in his letters, for his relatives to send socks for the troops. He wrote about the death of General Stonewall Jackson and how he would be missed by the Confederate Army. He writes in one letter about how outnumbered the Confederate troops were before surrendering to General Ulyssses Grant at Appomatox. By surrendering Lee prevented the deaths of thousands of Confederate troops, who would have surely died at the hands of the Federal Army, who vastly outnumbered them. His letters after the war relate how he was offered the presidency of Washington University, which was named Washington and Lee University in later years. His leadership was instrumental in making Washington University, one of the leading collegiate institutions of the south. His wife Mary who suffered from rheumatism often went to places with healing springs and these trips separated her from General Lee, who was living in Lexington, Virginia as the president of Washington University. He often wrote his sons after the war and gave them advice, about how to be a successful farmer. He gave them money to help them acquire what they needed for their farms. He even told his son Robert Jr. that Robert needed to find a wife so he could settle down on a farm. 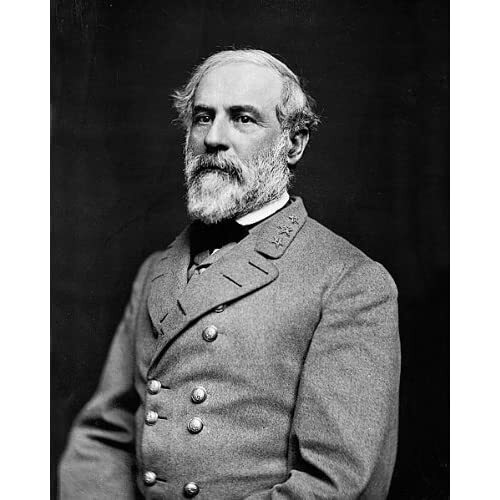 After reading these letters, a reader can tell how much family meant to General Lee and his concern for the welfare of his wife, sons and daughters and the confederate troops, who had served in the Confederate Army under his leadership. It is evident too how much his faith in God mattered to him. Sadly, Lee only lived five years after the Civil War ended and died on October 12, 1870 in Lexington, Virginia at the age of 63 of heart disease. He is buried at Lee Chapel on the campus of Washington and Lee University in Lexington, Virginia. General Lee may have been a great general for the Confederate Army, but this book, doesn’t dwell on that as much, as it does on his character which is exemplified in his letters. Numerous books have been written about Lee, but due to his untimely death he was unable to write the memoirs of his life. The entire book can be heard since there is an option to hear a reader read the book aloud. This book may not be a book Civil War buffs may want to read, since it is more about Robert E. Lee the person, rather than being about Robert E. Lee the Confederate general, but it is still a book worth reading. The late Andy Griffith in a scene from No Time For Sergeants. The first time I heard of Andy Griffith was when he appeared in the movie No Time For Sergeants. He played Will Stockdale a mountain boy, who is drafted into the U.S. Army. He had already played the part in the Broadway play by the same name three years, before the 1958 movie was released. The funniest scene of the movie to me was when he was named PLO (Permanent Latrine Orderly). He rigged the toilet seats to stand up all at once, which shocked the inspecting officer to say the least. However, this scene of him being tested by a corporal for manual dexterity may be even funnier. Don Knotts plays the corporal, who is utterly frustrated by the way Andy’s character Will Stockdale puts the two links together. Don Knotts appears at about the 1:15 mark. I hadn’t even known Andy Griffith had appeared in A Face in the Crowd in 1957, in a dramatic role unlike the Andy Griffith I had known in No Time For Sergeants and on the Andy Griffith show. Andy had made his television debut on the U.S. Steel Hour when he played Will Stockdale on television. He played the role on Broadway, on television and in the movies, which probably has not been done very often, by any actor in the same role. He also made the movie Onionhead in 1958, so it was a very busy year for him. Andy got a big break when he appeared on a Danny Thomas episode in 1960, where Danny is given a ticket, by a small-town sheriff. Andy is perplexed when he finds out that Andy is not only the sheriff, but also the justice of the peace. The Danny Thomas episode led to the formation of the Andy Griffith show which was shown that same year, on the CBS television network. 249 episodes later the Andy Griffith show would complete its run. He appeared on Mayberry RFD for two years, then had two series fail in short order, when Headmaster lasted 13 episodes in 1970, followed by the New Andy Griffith show which lasted only 10 episodes. He didn’t return to another series until 1979 when Salvage One only last 19 episodes. He had appeared in three series since leaving Mayberry RFD, but only 42 shows were made of those three series combined. Seven years later Andy tried again for a hit series and he struck gold with Matlock which ran from 1986-1995. He appeared in various television series and movies till he made his last acting appearance in Play the Game in 2009 at the age of 83. I looked at Andy Griffith and saw a role model, for the right way to live life. My wife and daughter surprised me in 2006, when we went to Mt. Airy, N.C. to see Andy’s boyhood home. I didn’t know we were going to stay there that night and it was the surprise of my life, when I found out we were actually spending the night there. Hampton Inn rents out the home to tourists and it was something I will never forget. I even played baseball with my grandson in Andy’s backyard. The late Andy Griffith’s boyhood home in Mt. Airy, NC. Andy had also made some comedy records early in his career. I had the record that has him giving his impression of seeing his first football game. He said in his monologue that 5 or 6 convicts were running up and down the field blowing whistles. The game was played in a cow pasture and Andy concludes saying that the object of the game must be to keep from being knocked down or stepping in something. The only remaining actors still alive from Andy Griffith are Jim “Gomer Pyle” Nabors and Betty “Thelma Lou” Lynn. I was 15 when the first Andy Griffith show was televised in 1960 and was 23 when the last show aired, so have been watching Andy Griffith during the first eight original years and in 44 years of re-runs. Andy, Thanks for the memories and RIP. Andy Griffith died this morning at his home on Roanoke Island, North Carolina at the age of 86. Death has taken another star of the Andy Griffith Show. George Lindsey who portrayed Goober on the show had passed away on May 6. Andy Griffith’s character Andy Taylor was one of the most beloved characters on television. The show revolved around him and he saw early in the show’s run, that it would be better to play the straight man for off the wall characters like Barney Fife played by Don Knotts, Gomer Pyle who was portrayed by Jim Nabors, Otis Campbell being portrayed by Hal Smith and the aforementioned George Lindsey as Goober. Andy taught his son Opie Taylor well, trying to bring him up without a mother in the home. Many shows dwelt on Andy telling Opie, how to deal with life’s problems the right way. Whatever problem Opie may have been experiencing Andy always had the right solution , to any problem that might arise. This video from the show in which Opie killed a bird with a slingshot is an excellent example of how Andy taught his son to do the right thing. The interplay between Andy and Barney Fife was a huge part, of the success of the show. Don Knotts suggested that the show needed a deputy and that move guaranteed the success of the show. Andy asks Barney about the Emancipation Proclamation, which shows how Andy could rile up Barney. When Don Knotts left the show after five years, Andy proved he could still draw the fans. as the show’s ratings stayed strong, after the departure of Knotts. I can remember watching Andy Griffith and Don Knotts in No Time For Sergeants movie, many years ago and we watched the movie three times in a row, since that was allowed in the 50’s. We have lost an American icon in Andy Griffith, one day before the July 4th holiday. Andy Griffith represented everything, that is great about America. He leaves a rich legacy behind of television shows and movies, in which he appeared.